Our juried shows provide an excellent opportunity to continue to create and showcase your work after completion of courses. In each session, there will be 3 level prizes granted to the best series of photographs. Winners will be announced on the day of the exhibit. All participating students will have their work listed on PhotoManhattan.com as well as through our Facebook and Tumblr pages. Participants can bring their guests. * 1st Prize: $375 Gift Certificate at PhotoManhattan. * 2nd Prize: One Fuji Finepix XP30 14mp camera with a 5x wide zoom. * 3rd Prize: One $100 Gift Certificate to "17th Street Photo Supply"
* 4th Prize: One free Digital Camera Sensor cleaning by "FotoCare". * Quantity of photographs. 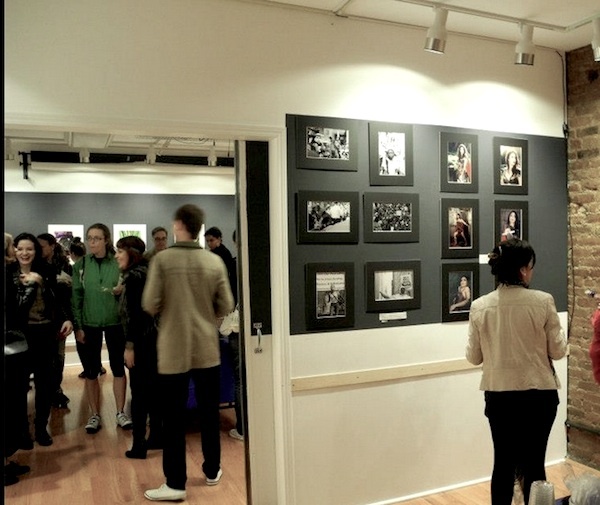 During the exhibition, each student will have a chance to present a brief description of their body of work. PhotoManhattan's instructors will review and rate the showcased photographs and winners will be announced on the day of the exhibit. Our Jury consists of 3 to 6 instructors, depending on the size of each show. The application fee to participate is $35 to $55 dollars. To be notified of our next upcoming show, please join our mailing list below. View Past Winners - Next show: coming up!